I’m a big fan of Nintendo’s classic Game & Watch series. I noted that there were a number of bespoke simulators around for specific games, but nothing generic. 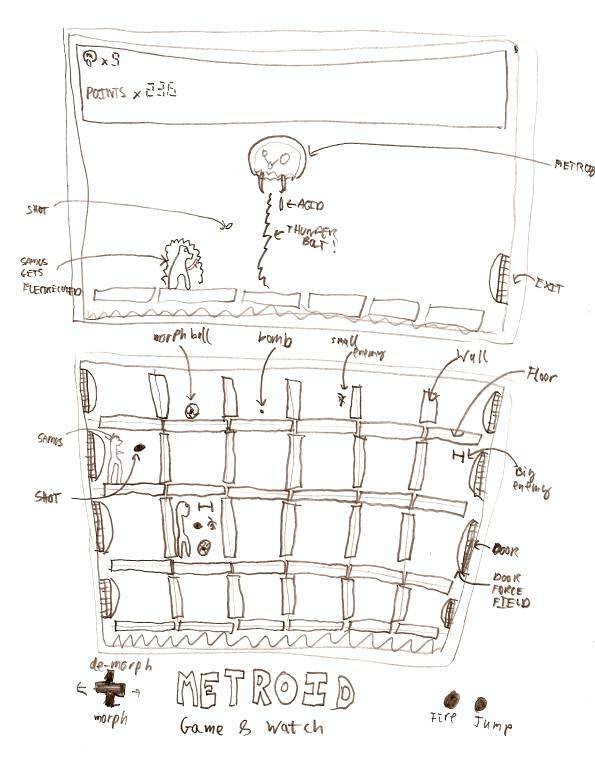 I was also bugged by the fact that Nintendo never made a Metroid Game & Watch title. I mean, that would have been amazing. Create a Java framework for easily building an LCD game. Use this framework to create a Metroid game. I made some headway with this whilst I was at university, and as it turns out it’s the perfect project to flex newly learnt object oriented programming skills. Sadly I lost the work when my London flat was burgled, but I dare say I’ll try it again one day. I’d envisioned using the above framework to create this. The game would play over two screens. Similar to Zelda, the bottom screen would contain the main level, and the top screen the boss fight. I saw the bottom screen being built as a platform puzzle, similar to the Super Mario Bros Game & Watch game, a favourite of mine. The boss fight at the top would pitch Samus against a Metroid. I’d gotten so far as using the sprites from Metroid 2 on the Gameboy as a base for the LCD components, but as above I lost it all in said burglary.